The Polysaccharides Complex is composed of important plant extract and mushrooms. This blend is not your ordinary Vitamin C. It’s formulated with a unique delivery system that enters the body faster and stays in the body longer. The combination of this 3 Powerful Blends generates a powerhouse of immunity against colds and infections. 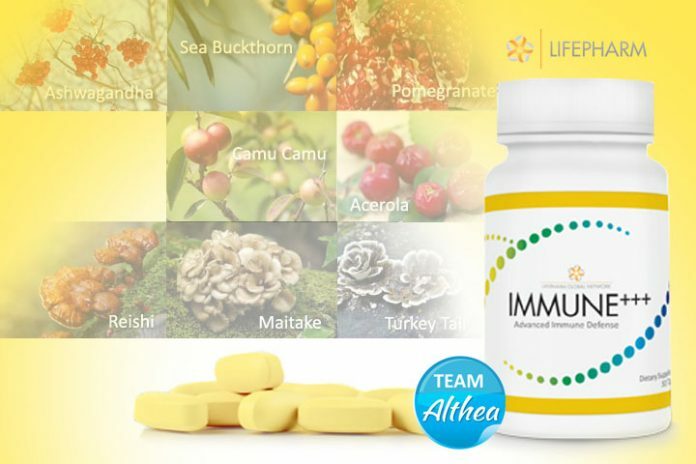 The ingredients in Immune 3-Plus strengthens the immune system for 24-hours. It supports and fortifies your body on the onslaught of illness. When you do get sick, Immune 3 Plus continues to support your immune system even in the presence of the toughest germs and micro-organism, helping your body cope faster and better. Immune+++ is your solid warrior of defense! Click here for IMMUNE+++ Frequently Asked Questions.